When you play roulette, online or in a land-based casino, you always have a secret hope that this time you’re going to get the big win. If you didn’t, there wouldn’t be that much point in playing. Even though you know it’s not realistic to harbour hopes for a big win, it doesn’t stop you doing it. The stories below highlight just a few of the big winners in the world of roulette but they all have one thing in common. They were betting on biased wheels. Today, if the winners mentioned were playing on sites like ca.32red.com the online casino, their wins simply wouldn’t happen, as they were reliant on the physical aspects of a biased wheel. 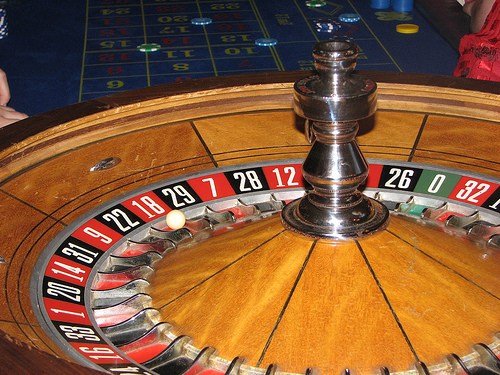 All online roulette wheels are governed by random number generator software, so there’s no chance of the wheel being weighted. Still, everyone’s a winner when they first sign up to play at 32Red, as a new player receives $32 of bonus credit for every $10 they put in as an initial deposit. What happens to the bonus money after that depends on how shrewd the player is in placing their bets, and the luck of the spin of the wheel! Joseph Jagger has an alter ego - The Man Who Broke the Bank at Monte Carlo. Back in 1873, Jagger employed six clerks to observe and secretly record the result on six different roulette wheels at the Beaux-Arts Casino in Monte Carlo, Monaco. One of the wheels had a bias, with certain numbers coming up more often than the others. With the research done, Jagger went to play on the wheel in the summer of 1875, and on his first day won £14,000. Only three days later, he had increased his win to £60,000. Although he was subsequently banned from the casino bosses, Jagger had discovered a method to beat the house. A hundred years later, Richard Jarecki was a doctor who enjoyed playing roulette in his spare time. Like Jagger had done, he discovered that some wheels were biased and devised a system to beat biased-wheels. In the 1970s, he often played in San Remo and Monte Carlo, and his biggest win was $1.28 million. A decade later, in the 1980s, Billy Walter ramped up the biased-wheel betting system by a few notches. He got groups of gamblers in teams to work the biased wheels together and take as much as they could from the house. He exponentially increased the wins by having large numbers of people play the same skewed wheels together. Though the exact figure is unknown, estimates of the Walter team wins are between $3.5m and $5m. As a result, many of today’s casinos in gambling centres like Las Vegas and Atlantic City now use ‘low profile’ roulette wheels, so if they have a bias, it’s much harder for gamblers to detect it.